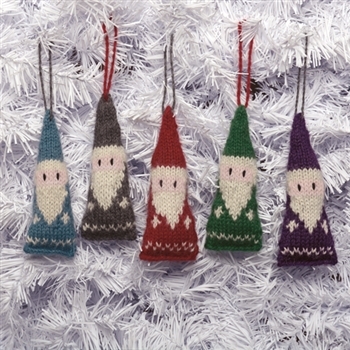 Sweet handknitted ornaments make magical accents for a tree, jazz up a special gift package, or make adorable decorations for a holiday tabletop display. 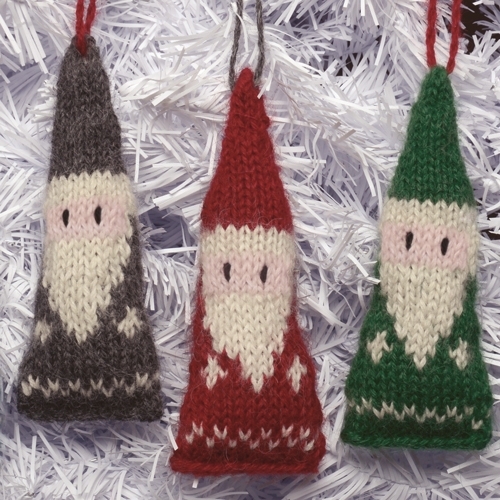 Handcrafted with charming details, they have yarn hanging loops. 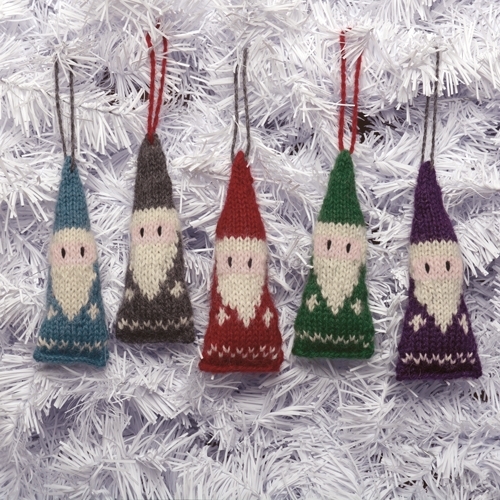 Our Nordic patterned Santas coordinate with our other Nordic patterned ornaments, accessories, socks, and Christmas stockings. Offered in a cheerful variety of classic colors inspired by Victorian holiday illustrations. 4" tall. Sold individually, assorted colors.